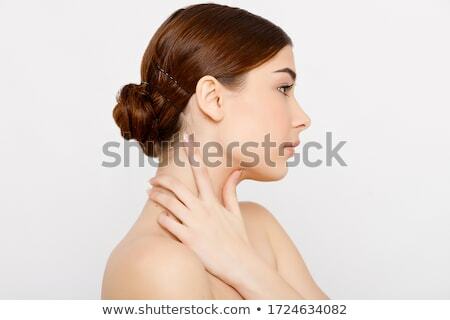 Stock photo: Patriotic holiday. 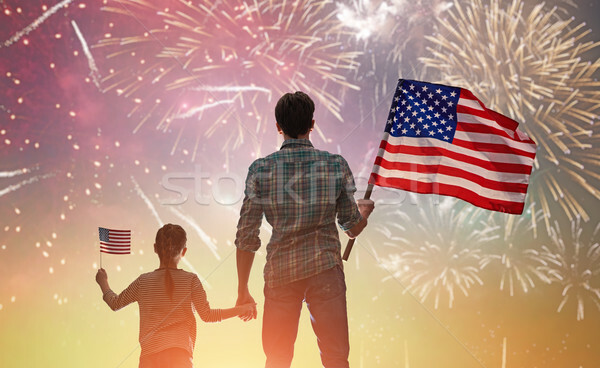 Happy kid, cute little child girl and her father with American flag. USA celebrate 4th of July.